Local commercial property developer, Knight Property Group, celebrate the pre-letting of the third property within Kingshill Commercial Park, Westhill this week. 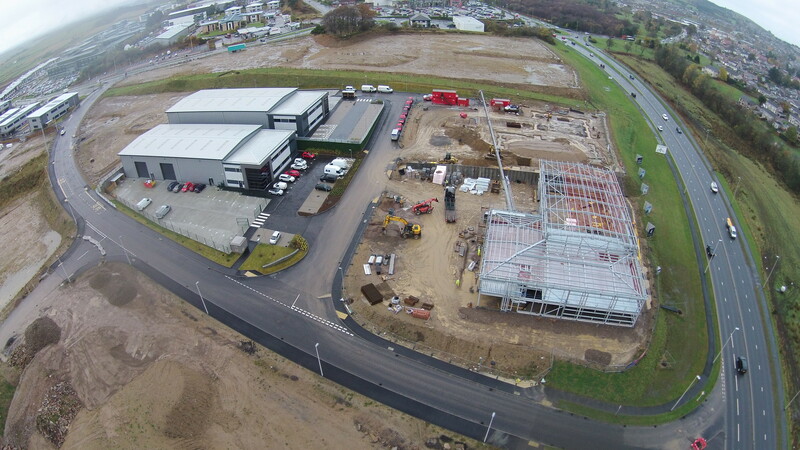 After announcing two 15 year leases on the Westhill industrial units last month, Knight Property Group have announced the pre-let of a third building which has recently commenced construction on site. Tendeka, the provider of completions systems and services to the upstream oil and gas industry, have signed an agreement to lease unit 1 within Kingshill Commercial Park which is due for completion in Q1 2017. Based at various locations in Aberdeen city and shire, the oil and gas specialist are expanding in Westhill to facilitate growth within the company. Reacting to Tendeka’s needs, Knight have designed a bespoke unit to suit their needs and secured planning consent. The premises will include an extensive fit out of workshop, offices and lab space. Alan Pearson, Chief Financial Officer at Tendeka comments, “By moving to Kingshill Commercial Park we are able to have all staff working from the same site. The buildings location within the development superb with visibility on the main road into Westhill and a minutes’ drive from the AWPR. Knight Property Group announced their intentions to begin Phase 2 of Kingshill Commercial last month in reaction to Phase 1’s buildings being fully occupied. Upon completion, the commercial park will consist of 10 units and bring up to 1,000 workers to the area, contributing to the local economy. Paul Richardson, Partner at Ryden comments, “Situated on the main route into Westhill and less than a mile from the AWPR, Kingshill Commercial Park is a close commute into the city centre.